You are a magic wielding wizard! Obtain the legendary spell and save your friends! There are puzzles hidden around Shinjuku! 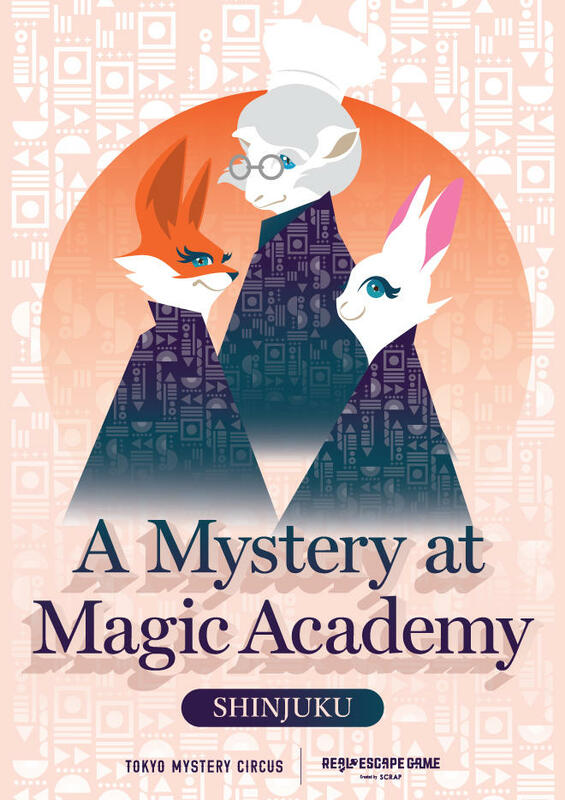 Search the streets, solve the puzzles, and obtain the Magic Academy's legendary spell! But all the jubilation is stopped short when you and your fellow classmates make a horrible discovery - the celebratory cake for your first day has vanished! This game is a field-type game where you search the streets while using your game kit. There is no time limit or limit to the number of players. You can play at your own pace. 1.Buy the game kit from Tokyo Mystery Circus 1F TMC Goods Shop. 2.Solve the puzzles in the game kit, and got to the next location. 3.Follow the other hints and codes, look around the street of Shinjuku and solve all the mysteries. 4.Find the final answer to clear the game! How do I buy a game kit? You can grab your game kit from TOKYO MYSTERY CIRCUS 1F TMC GOODS SHOP. The game kit costs 1,200yen, inclusive of tax. Q) Is there a time limit? A) There is no time limit for this game. It may take awhile to compeletely clear the game, so please give ample time to play this game. Although the game should not take more than a day to finish, if you run out of time personally, you can continue from where you stopped on another day. Q) We want to play in a group. Do we need to buy a game kit for every player? A) You'll enjoy the game better by purchasing a game kit for everyone! Q) Can I reveal the puzzles on my blog or on Twitter? A) Spoilers are prohibited for this game. Do not upload answers or photos of the puzzles to your blog, Facebook, Instagram, Twitter, or any other digital platform. Please also be careful when you discuss the answers to the game after it has ended. There will be many players in the same floor or facility who have not tried the game yet! Q) I lost my game kit halfway through the game. Can I receive a new one? A) Sorry, but we are unable to replace your lost game kit. Please purchase a new one to continue playing the game. Q )Can we get hints? A) A "hints sheet" is available, so please use it if you are stuck on a puzzle. More details on the hints sheet can be found in your game kit. Q) Can I play the game at the home?